Fred Keller: I kind of like formulas, so I've come up with this kind of new formula: The performance of a business is not just equal to its financial results, but its financial results plus its impacts. The business world has been extremely successful in our ability to solve difficult problems, to maximize [00:00:30] profit for our shareholders. That's all good, but the additional opportunity to solve social and environmental problems is huge. One of the first things we worked at was trying to understand how to employ and retain folks who had formerly been on welfare. We learned by working at that issue that we actually strengthened our culture as an organization. We more recently have involved ourselves in hiring folks that have formerly been in prison we call it our Returning Citizens Program. When they have an opportunity to work in an organization like ours that supports them in their transition to this kind of a lifestyle, it is very rewarding to them. They are some of our very best workers. That's social capital. When we have more folks opening their eyes [00:01:30] to this kind of thinking we would have fewer people in poverty. We would have more people engaged in the workforce. Those who succeed in being both good at business and good at society and environmental improvements are those that the customers will ultimately value, the investors will ultimately value, and that's the hope of the future. We believe achieving our goals shouldn’t come at the expense of our people, but because of them. With that mentality, we’ve adopted pioneering programs rooted in the appreciation of all people, regardless of age, race, or background. There’s only one earth, so we do everything possible to reduce our impact on it. 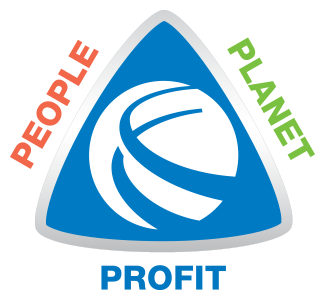 We work hard to build a sustainable organization and are committed to continuously reducing waste emissions into the air, land, and water. With our model, generating positive returns benefits all stakeholders, not only the shareholders. Through our manufacturing work, we seek to make a true difference in the world—and when we profit, we’re more capable of doing that. Using more and more, year by year. Without compromising quality or durability, we use recycled materials whenever and however possible. We’ve pioneered new ways to accomplish this task, and each year we incorporate more recycled materials than we did in the last. A goal to never touch a landfill. Protecting the environment is high on our list of corporate priorities, so we set an audacious goal: maintain facilities that are zero waste-to-landfill. Many of our facilities have achieved this goal, with others well on their way. We are proud to report that we come in below the industry average of 4.4 and strive to decrease our rate year over year. Safety incident rates are per 200,000 hours worked. We value every human being at Cascade Engineering and we work to ensure that all of our employees have an opportunity to build successful careers. We believe that business has the opportunity to make a positive impact on our society. We are proud to contribute to our community. At Cascade Engineering, we utilize a closed loop water system. All of our water is recycled and reused throughout our manufacturing process. We made $3.43 for every kWh of energy we used in fiscal year 2016. We want this number to increase year over year to show that sales increase while using the same amount of energy. We use this metric to measure our environmental footprint. We continuously work to descrease this number each year. Cascade Engineering's building, The Learning Community, was the first commercial building in Michigan to achieve LEED EB Platinum Certified Status.